IPOH, April 17 — Ibrahim Mat Zin, popularly known as 'Raja Bomoh’ (Shaman King) will face Datuk Seri Ahmad Zahid Hamidi in Bagan Datuk for GE14. Ibrahim — the self-declared shaman who made global headlines five years ago during the initial days of Flight MH370’s disappearance — announced today that he plans to run in the Bagan Datuk parliamentary seat in the May 9 polls. At a press conference held at the M Roof hotel today, Ibrahim, who is also the Malaysian Seni Silat Gayung Ghaib association president, said he chose Bagan Datuk because he had 'many friends there'. "I'm a Bagan Datuk native and I know many people there especially my silat students who have promised to support me," he told reporters. Ibrahim said he had around 25,000 supporters ready to back his candidacy in Bagan Datuk. "For the past 10 years, people there have been asking for me to run there. I believe in helping all people, regardless of race and background." Ibrahim made global headlines five years ago during the initial days of Flight MH370’s disappearance. He is famous for conducting a ritual using two coconuts at the Kuala Lumpur International Airport in 2014, reportedly claiming he could locate the whereabouts of the Malaysia Airlines passenger jet that went missing with 239 people on board. He performed another ritual outside the National Institute of Forensic Medicine at Hospital Kuala Lumpur over the assassination of Kim Jong-nam, the half-brother of North Korean leader Kim Jong-un. But Ibrahim said today that he would not be conducting any “rituals” during his campaign period. If elected, he also claimed that he would give his monthly salary as an MP to the people of Bagan Datuk, including monthly stipends of RM800 to single mothers and RM 1,500 to the disabled. “Why do I need a salary? I am a businessman and I’m not doing this for money,” he said. At the same press conference, the association's deputy Leman Kanaullah announced he would be contesting the Pangkor state seat, which is held by caretaker Mentri Besar Datuk Seri Zambry Abd Kadir. 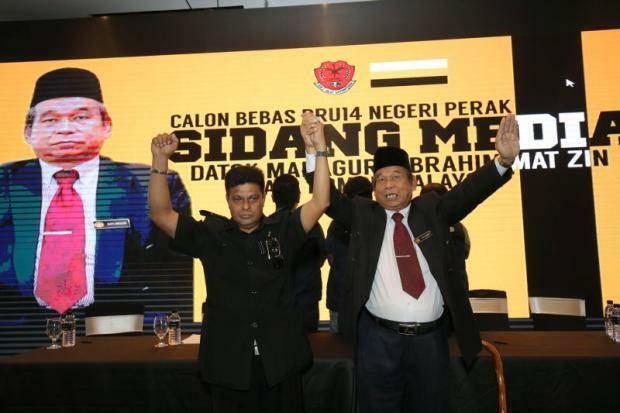 Both Ibrahim and Leman said they were unfazed with the uphill task of possibly facing giants in the likes of Zahid and Zambry in their respective seats. 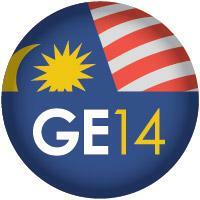 “I was raised in Pangkor and I know the issues and laments of the locals. I’m confident because I have around 50,000 supporters there,” said Leman. Ibrahim said 27 of his members would be contesting as independents in parliament and state seats nationwide. Asked if this could possibly include the Pekan seat — currently held by Prime Minister Datuk Seri Najib Razak — Ibrahim smiled and said “God willing”.